Being broke makes people think. It forces creativity and a little unconventional problem solving. Take the early days of Shark Tank ”Shark” and FUBU founder Daymond John, when he lived in Queens, had fresh T-shirt designs and lived next to the rappers who were just as broke as he was. “I’d give them a shirt to wear on stage, sneak in their trailer, steal it and give it to another rapper,” John says. And the extra legwork paid off in 1993 when LL Cool J wore John’s designs for a promotional campaign, boosting the credibility of a brand that would eventually pull in $350 million in annual sales. That’s part of keeping the balance in a startup business. When 80% of new businesses fail within their first 18 months, they’re pegged between the struggles of staying alive and the struggles of staying ahead. But John has a two-silo secret that keeps the successful operations running a notch above the rest. He weighed in with his advice recently, sitting down with Kelsey Falter, founder of Poptip; Taro Fukuyama, cofounder of AnyPerk; and Sean Echavarria, cofounder of Jar With A Twist; on motivating employees and putting some life into startup products. Daymond John will also grace the cover of SmartCeo Magazine, which you can find here, as well as the cover Parade Magazine with the other sharks of "Shark Tank," which you can find here. 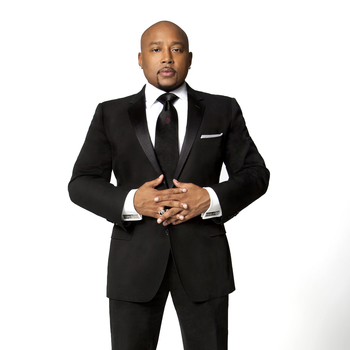 For more information on how to book Daymond John for your next event, visit premierespeakers.com/daymond_john.